Only 2% of taxi drivers in London are female and having spoken to a few wonderful women cabbies, we cannot understand why there aren’t more! Most people would acknowledge the fact that taxi driving in London is a male dominated arena, and generally this fact is true worldwide. However, it appears that being a women in the trade does not place you at a disadvantage. In fact, female taxi drivers expressed that there are “a ton of benefits to being woman” and even considered themselves to have an advantage over their male counterparts! 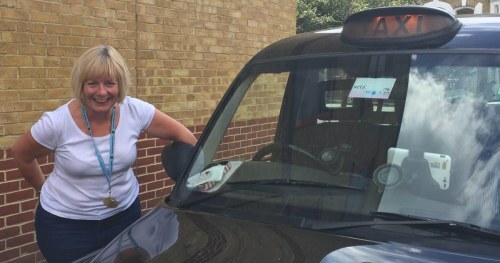 Stella – who has been a cabby for fifteen years – says that it was the lifestyle that originally attracted her to the profession. “When my children were at school I was able to work split shifts and do the school runs”. She was afforded flexible working hours which meant she could work around her other important commitments. Also, studying for The Knowledge can be equally flexible, though certainly challenging. Shelley – who has been in the trade for over eighteen years – studied for over four years, whilst she raised two children. On the other hand, Victoria – a cabby with sixteen years of experience – only took thirteen months. Even once you have obtained your licence, the learning doesn’t stop; however all of the women we spoke to expressed that they loved the challenge of discovering new parts of the city and putting their memories to the test to find alternative routes. 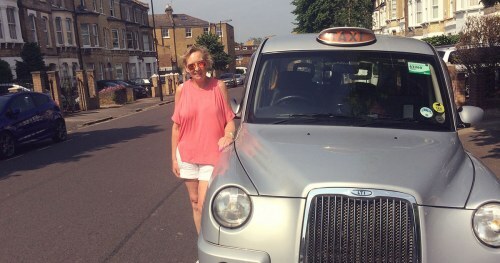 Shelley says that cab driving is perfect for any person who wants to experience something different every day, and especially for those who love coming home with a good story. All of the women we met have a star-studded-name-drop list including mega movie stars Jude Law, Ralph Fiennes, and Dame Judy Dench, artists such as Noel Gallagher, Brian Ferry, and even sporting legend George Best. “You get to meet the most fascinating people,” she explains, and then preceded to tell us about how Joss Stone’s puppy had a mishap in her cab, so Shelley made Joss clear it up before realising who she was. Victoria tells us how she thinks women have an easier time than males in her profession. She says that she has received the odd sexist comment, but feels that male drivers are the ones who receive the most hostility from passengers. “My brother is a cab driver,” she explains, “and I know the abuse he can encounter”. Perhaps the reason behind this is because customers feel more comfortable and trusting being driven by a woman. Certainly, male passengers expressed relief to Shelley when they saw that their cabby was a woman, stating how happy they were to not have to talk about football and politics for once!